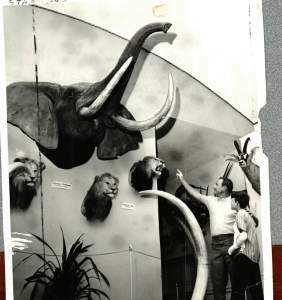 Pink Palace visitors from 1948 to 1975 were fond of visiting the Berry B. Brooks African Hall. Brooks was a respected Memphian with a reputation as a huntsman, naturalist and conservationist. He was also a civic leader who was generous with his time, finances and big game trophies.